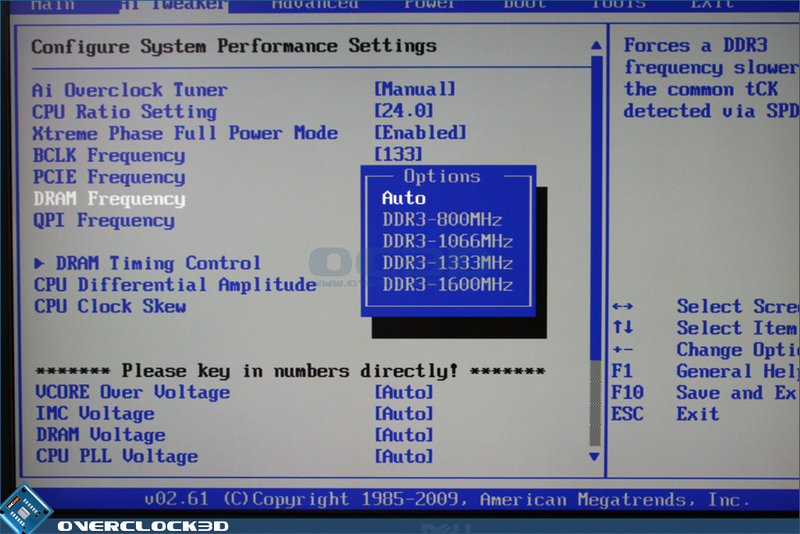 The Asus front screen could easily be mistaken for any other Asus BIOS, such is the familiarity of the BIOS layout. All of the standard options are there, each with its own sub-menu so today we will be exploring the area most will be spending there time - the AI Tweaker. 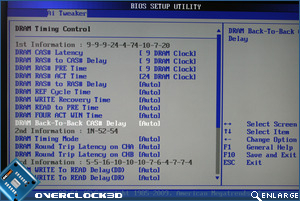 The AI Tweaker page is the Asus take on overclocking options. 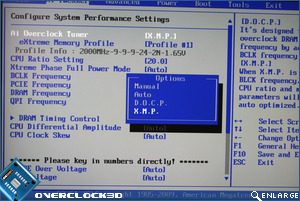 Here you will find everything you need to get the absolute maximum out of the system with all of the overclocking options neatly stacked on one page. 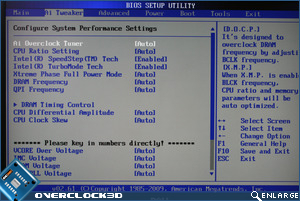 The BIOS is navigated with the use of arrow, enter and escape keys with each option highlighted as you scroll through the page. 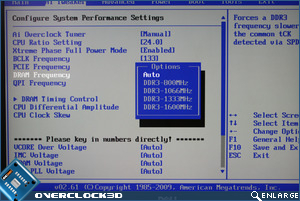 Setting the AI Overclock tuner to manual allows further options to be accessible from the main menu but disables others, mainly the power saving options that may interfere with overclocking stability. 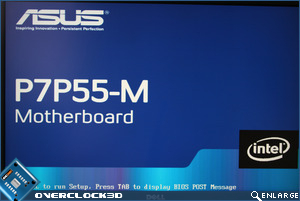 Altering the DRAM frequency is simple enough with just four options available, the maximum available on the P55 chipset being 1600MHz. 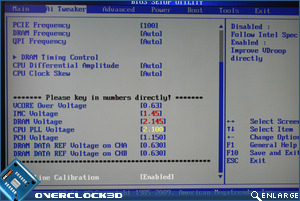 This setting is directly linked to the CPU base clock frequency though which will alter the divider values available, much the same as the QPI frequency. 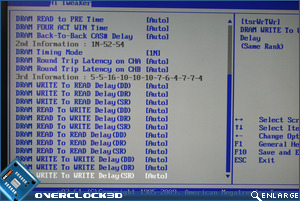 DRAM latencies are out in force with the P7P55-M. A plethora of settings are available that should keep even the most ardent of memory overclockers happy. 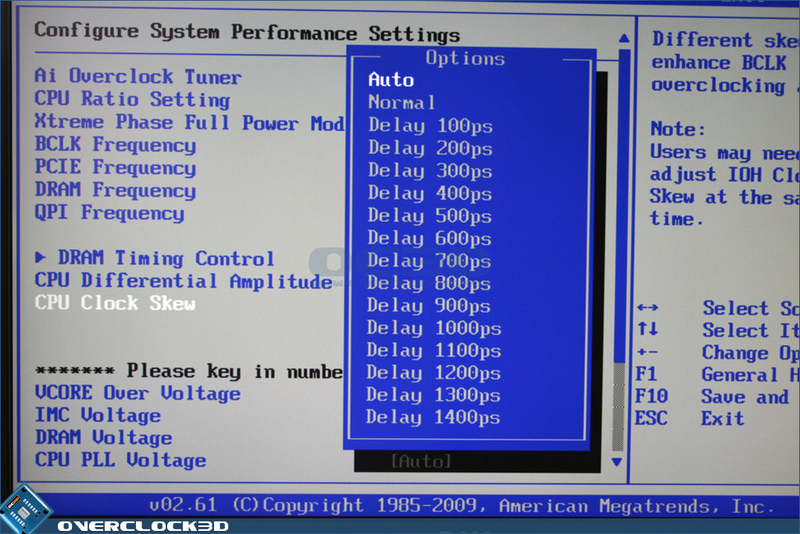 Primary, secondary and tertiary options are available, each with a host of settings that can be tweaked. 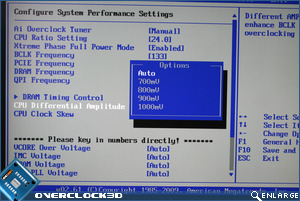 One area which could do with a slight tweak is the voltages. 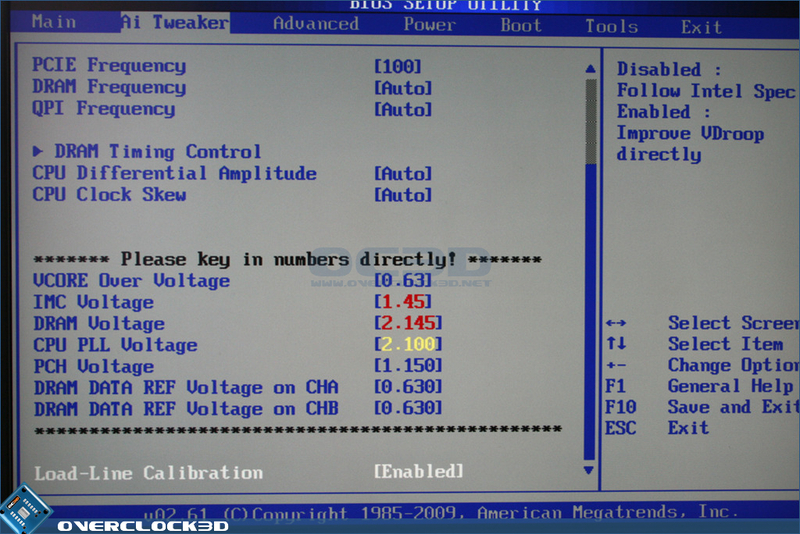 All of the basic voltages are there which is normally enough for the average overclocker but the values are a little on the tame side. The values change colour depending on there severity from blue through yellow to red. 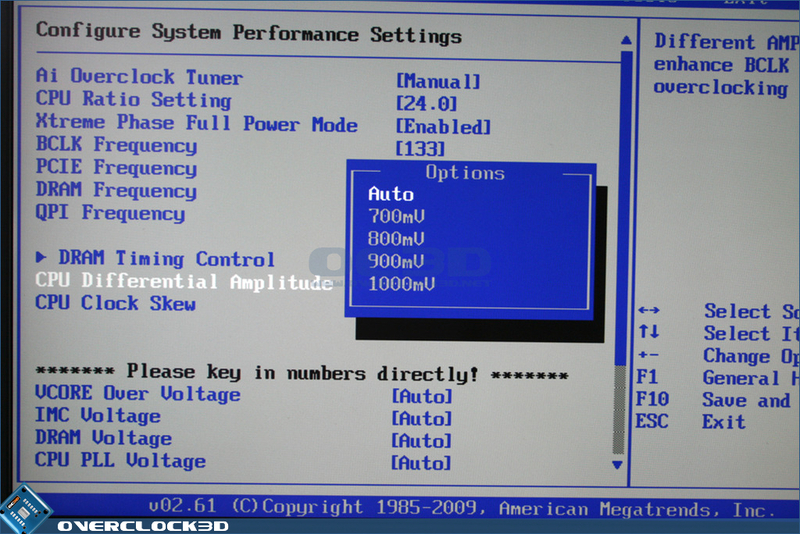 I was disappointed that Asus had opted to use the old method of adding voltage to the pre0determined value rather than setting the voltage directly. This method takes slightly longer as you will have to work out your base (Stock) voltage before determining what value to add. 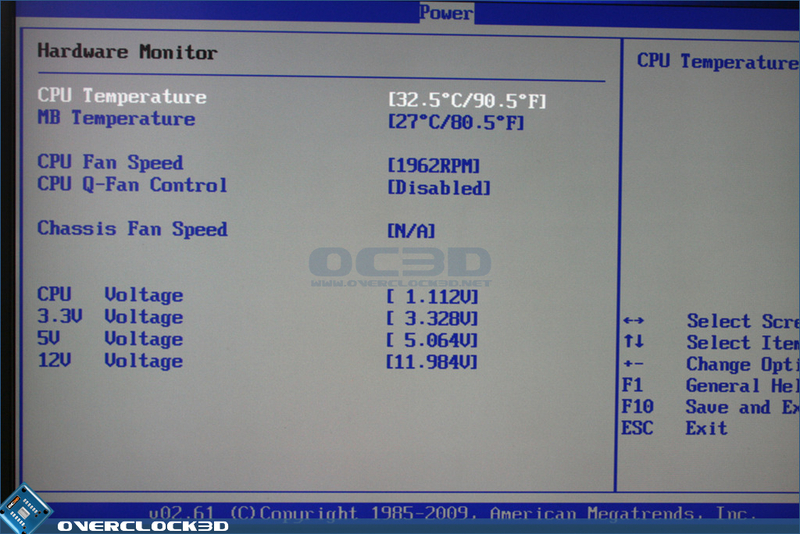 This is only with the CPU voltage (Vcore) though, with all of the remaining voltage options adjusted in the usual manner. 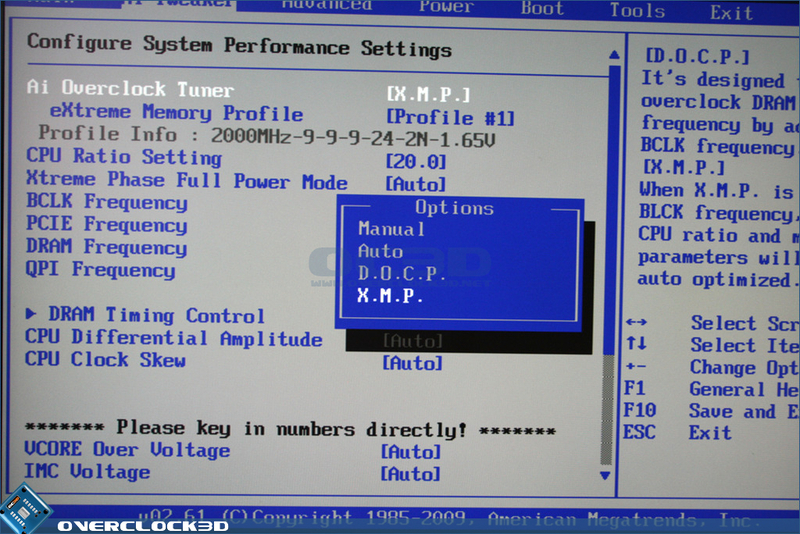 I am delighted to report that the XMP profile feature is included on the mainboard allowing for memory modules supporting this feature to be automatically set with just one tweak rather than fiddling with the voltage, dividers and latencies separately to reach there rated speed. 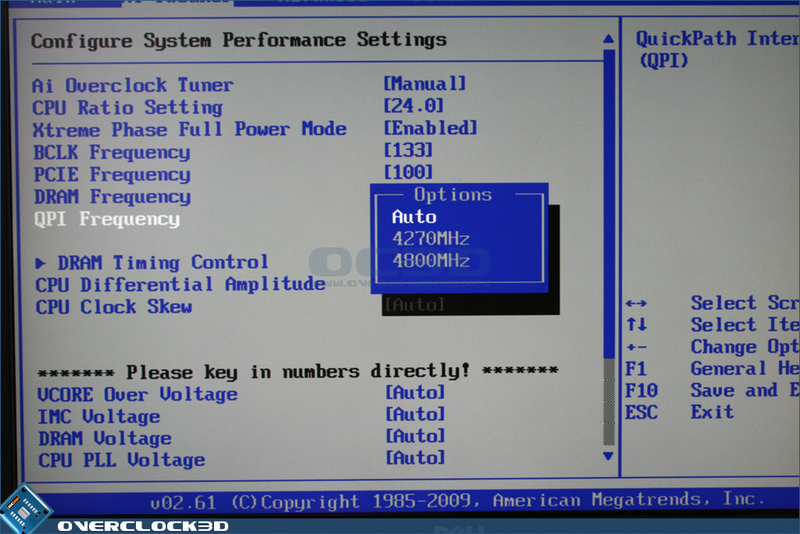 Last of all we arrive at the PC Health Status area which again contains most of the information you will require, especially if you need to find your stock CPU vcore! 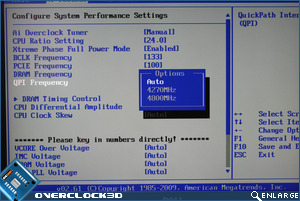 The CPU fan speed is controlled via the Q-fan feature which can be set to auto, silent, standard or extreme. 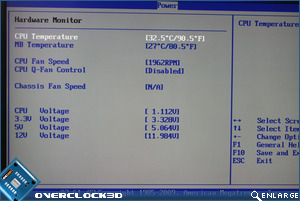 In testing I used AUTO which seemed to work well, adjusting speed as the temperature directed. 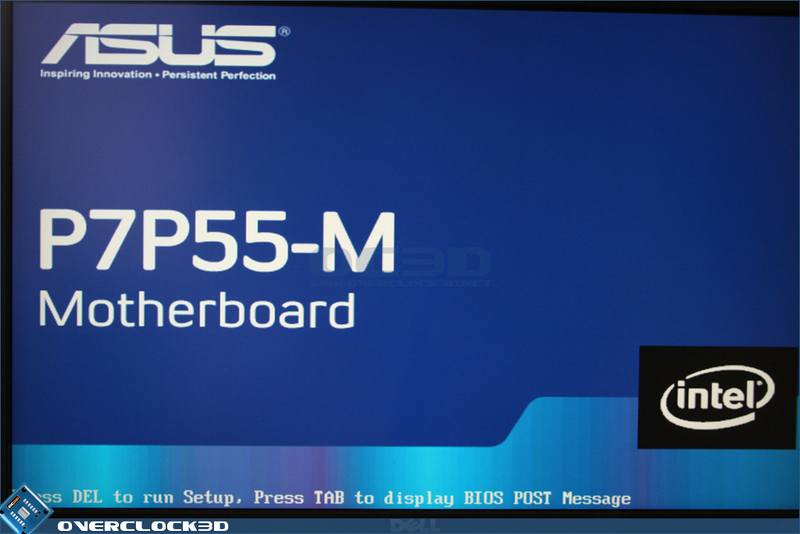 The BIOS for the P7P55-M is not something to shout from the rooftops about nor does it disgrace itself. 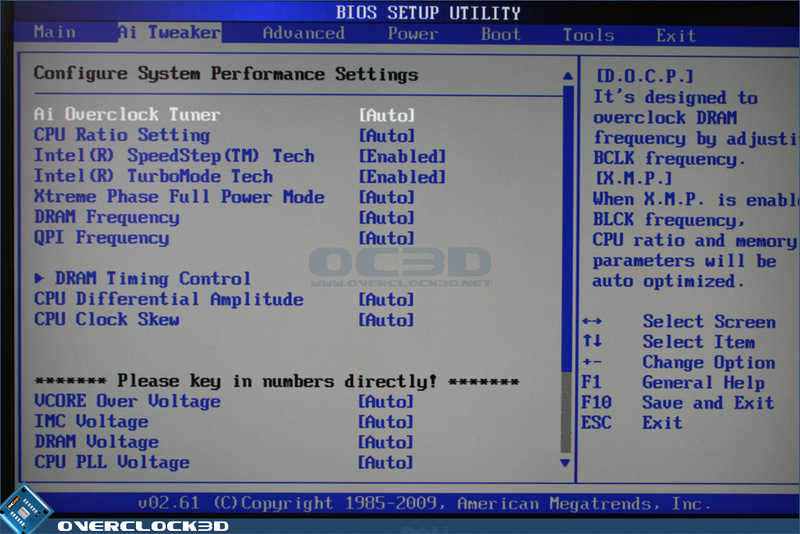 Most of the options you will ever need are there but I do feel with a little more work the BIOS could be greatly improved. 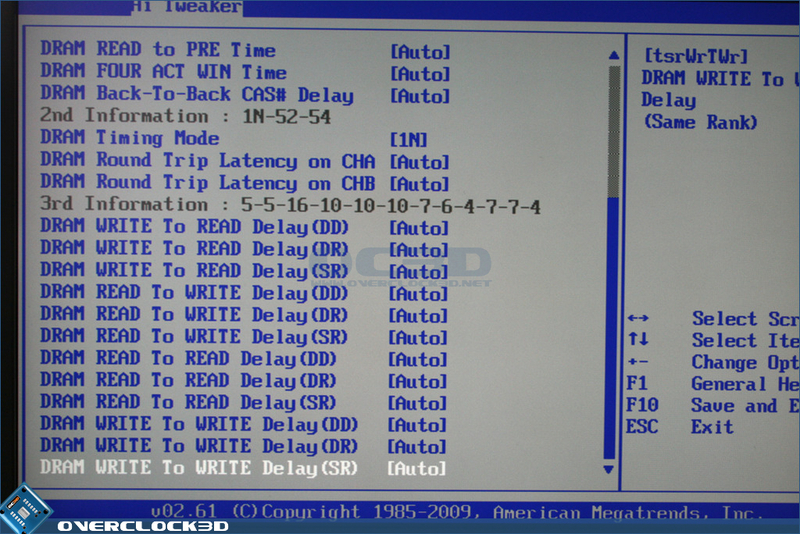 An area I was disappointed in was the fact you cannot input values directly, a pain if you constantly wish to change latencies and voltages as the scroll method can be cumbersome to use at times. 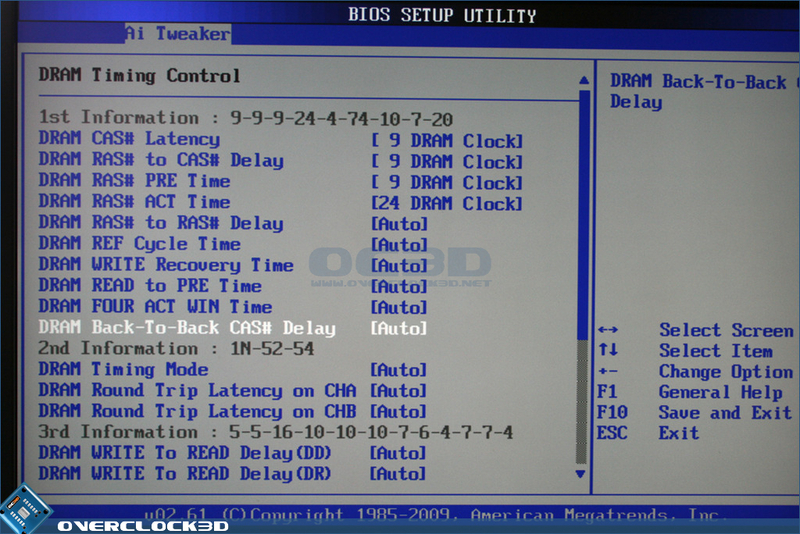 The BIOS features are sufficient enough that you will get a very good overclock form this board but perhaps not the absolute maximum due to the lack of extreme options and tweaking available. 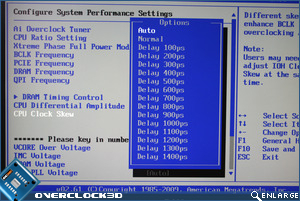 That said, for mATX board, the BIOS is bigger than the board warrants.